Otacon : Snake, wait up! You forgot these…. Snake : No thanks. I’m quitting. 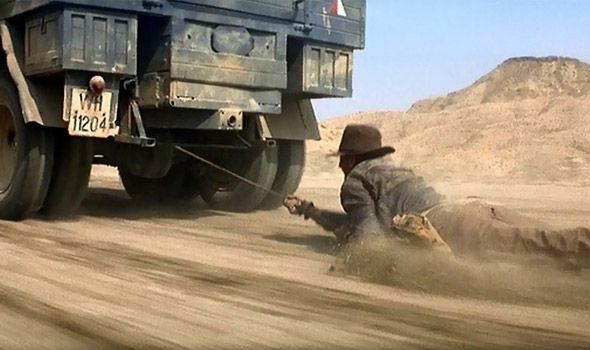 Snake : These things will kill ya. Otacon : Where will you go…? Our fight is finished. There’s nothing left for us to do. Snake : No. There’s one thing I still have to do. I have to see this age off… See what the future brings. nake : Otacon, I’m gonna be dead soon. You don’t have to come. 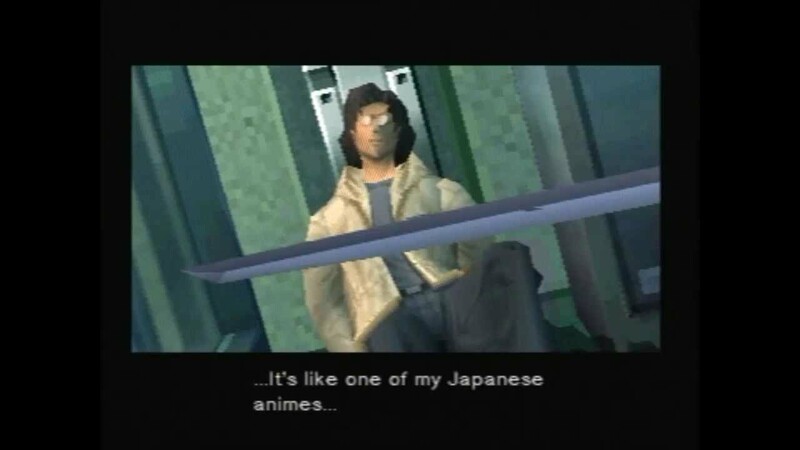 Otacon : You said it yourself, Snake. There’s nothing inside you can pass on to the next generation. No genes, no memes… You’re man-made… You’re a beast. Snake : I know… A blue rose. There won’t be any happy “Beauty and the Beast” ending for me. What little time I have left will be spent living… As a beast. A shadow of the inside… Of the old age. Otacon : Exactly. That’s why you need me. As a witness. 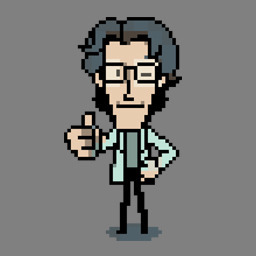 Otacon : Yeah. Someone on the outside to bear witness to your final days. Someone to pass on your story… Not that I’m the only witness. But I’ll remember everything you were… And stick with you to the end. 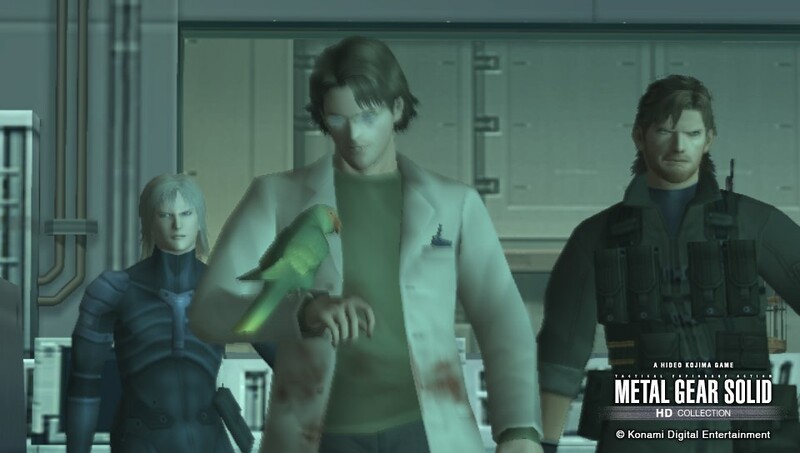 Otacon : Besides, you wouldn’t let me suffer Sunny’s eggs alone, would you? 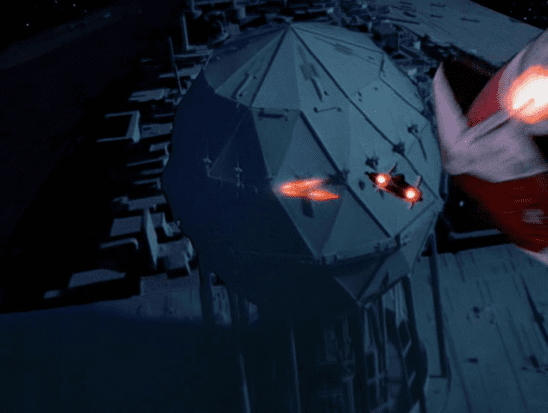 However, at the age of 3, Huey planned to use his son as a test subject for the robot, which made Strangelove furious. Concerned for the safety of her son, she had him shipped to America, away from his father. Huey reacted badly to this situation, locking her in the Boss AI tube and having her suffocate. 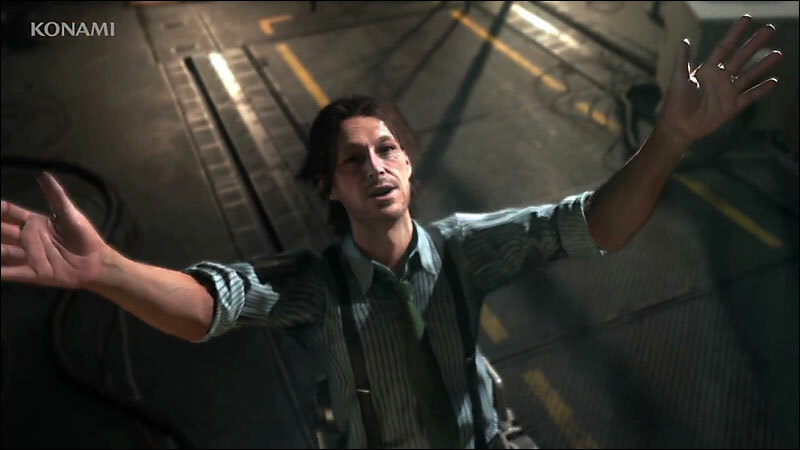 After his exile from Diamond Dogs, Huey and his son were eventually reunited, and Huey remarried a British woman, and Hal gained a new stepsister, Emma. However, Huey eventually drowned himself in the family pool, and Hal and Emma (Or “E.E” as he liked to call her) drifted from each other. Eventually, he enrolled in MIT and Princeton, where he gained PHDs and degrees, and also did some work for the FBI. He eventually became a developer for Armstech-and chief designer for Metal Gear REX at Shadow Moses, much like his father before him. It was here he would cross paths with Solid Snake, beginning a long friendship. 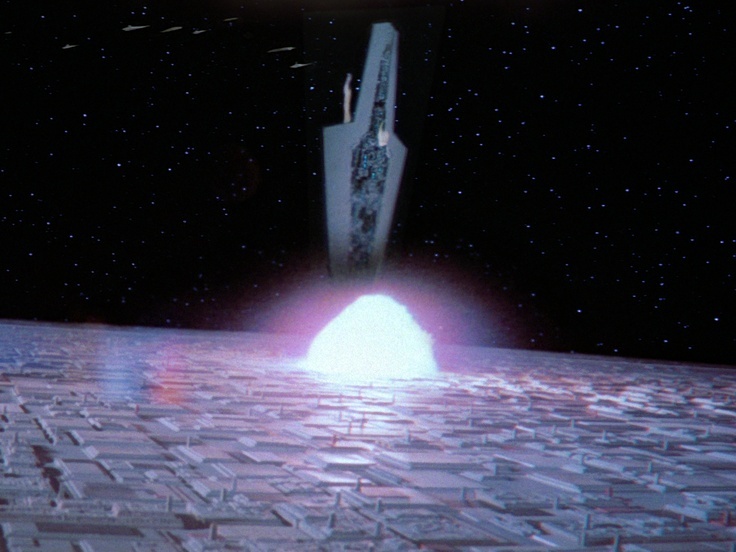 The naive Hal believed Rex would only be a defense system, although it possessed a railgun capable of launching nukes. He also stated that in part, he liked designing it because it reminded him of robots in Japanese anime-Hal also adopted the nickname “Otacon” short for Otaku convention. 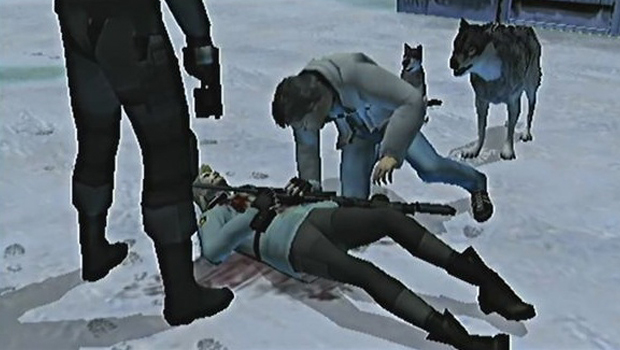 After the takeover of Shadow Moses Island by the rogue FOXHOUND, Hal was forced to work for them, but developed a possibly Stockholm syndrome form of affection for Sniper Wolf, and helped to feed her wolves. Being told the truth about what Metal Gear really was by Snake, Hal decided to aid the soldier, after some uneasy first impressions. 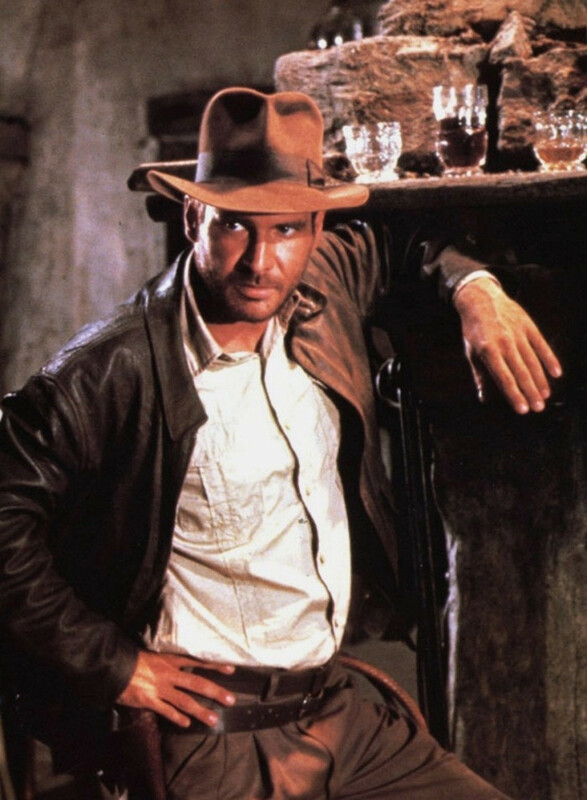 He took stealth camouflage and snuck around the base with it, aiding Snake by helping him escape from prison (giving him ketchup to mimic the appearance of blood) helping Snake realize that the were genome soldiers also wearing stealth camo in an elevator, and also gave Snake other forms of intel-especially on REX-and also asked Snake an important question. Mainly addressed to his relationship with Sniper Wolf. 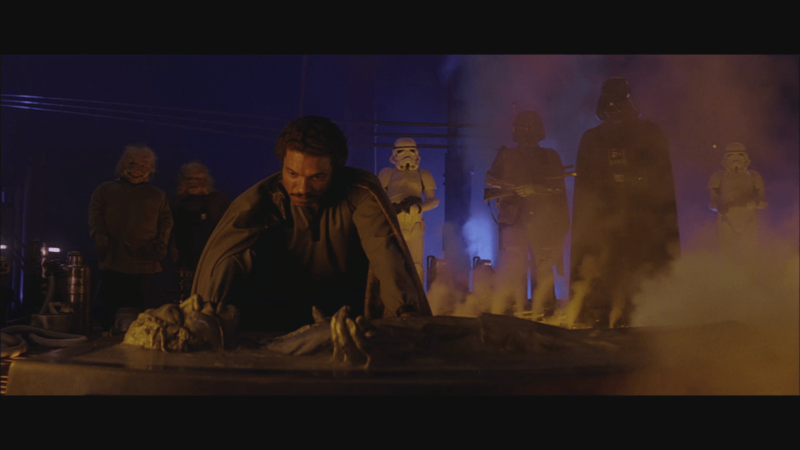 However, as part of his mission, Snake was forced to kill Wolf, which devastated Hal. 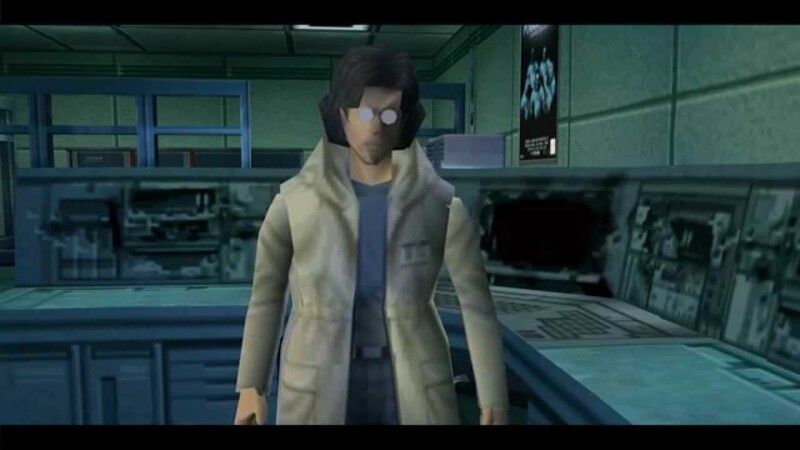 After Rex was deactivated by Snake, Otacon helped Snake and Meryl escape by unlocking several doors from his computer, and eventually escaped himself. He, Snake, Natasha Rumenko and Me Ling formed the PHILANTHROPY group, oppossed to the development of Metal Gears (Since Ocelot had leaked the plans for REX to the black market, allowing for many Metal gear knock-offs). Eventually, getting a letter from his sister “E.E”-or so he though-they discovered the Army was building one-an Anti-Metal Gear Metal Gear, Ray. 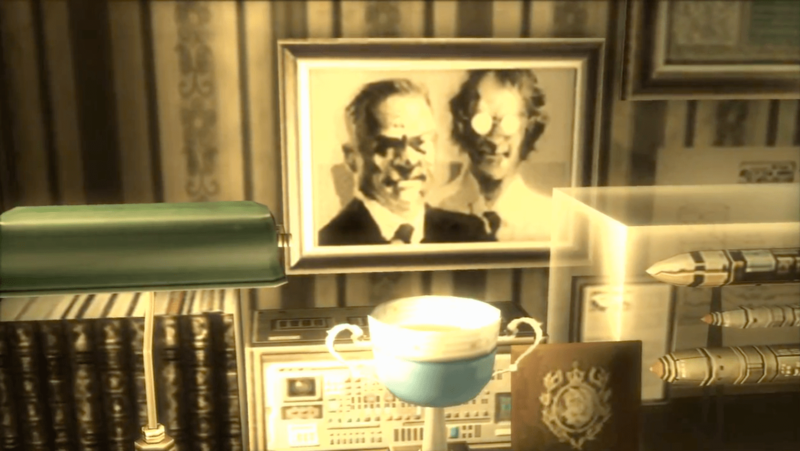 Although it’s purpose was to destroy other Metal Gears, Otacon and Snake still felt they needed to expose it, and Snake infiltrated the tanker Discovery to photograph it and send them to Otacon’s computer (which had an Otacon avatar). 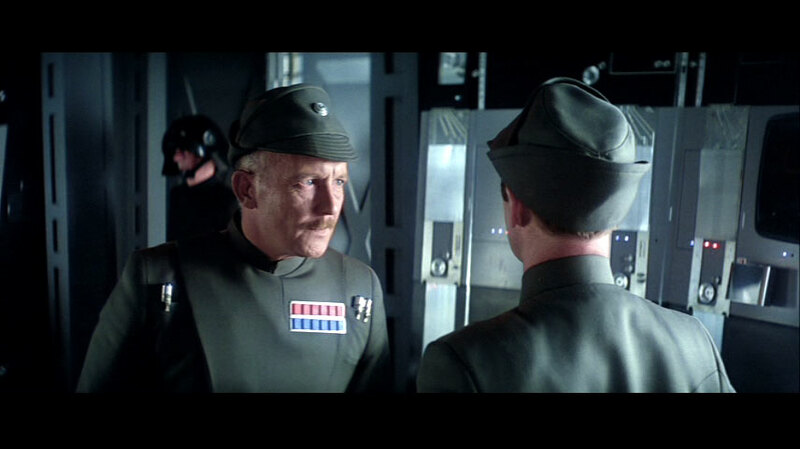 However, the mission was largely a trap set by Ocelot. Snake and Otacon managed to escape, and went underground. 2 years later Otacon reemerged in the Big Shell incident, where on the site of the Tanker’s sinking a “cleaning facility” was built, but in fact it was cover for a new “Arsenal Gear”-a massive submarine Metal Gear. It was then taken over by Solidus Snake and his “Sons of Liberty”/Dead Cell.He discovered his stepsister, Emma, was working on the project. Snake and Otacon-working with Raiden-infiltrated the Big Shell, and he was reunited with Emma. Unfortunately, their reunion was short-lived and tragic, as Emma was stabbed by Vamp. 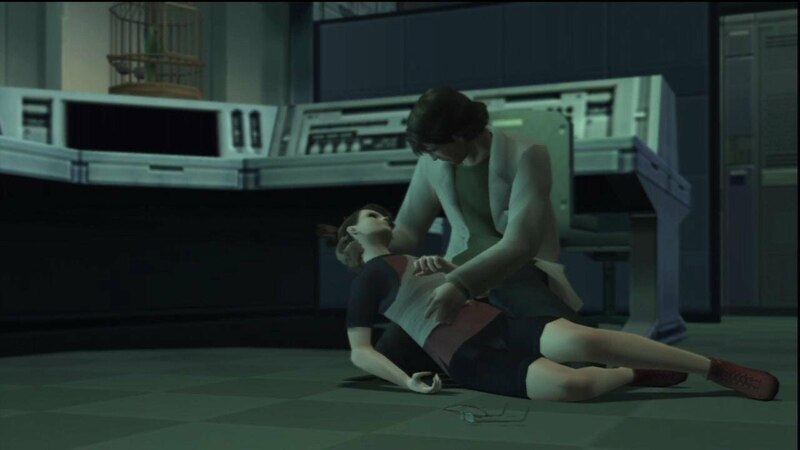 Upset that he lost yet another woman he cared for, Otacon nevertheless tried to pull himself together with help from Snake, and tried to evacuate the remaining hostages. And hence, some of the coolest Metal Gear moments were born. 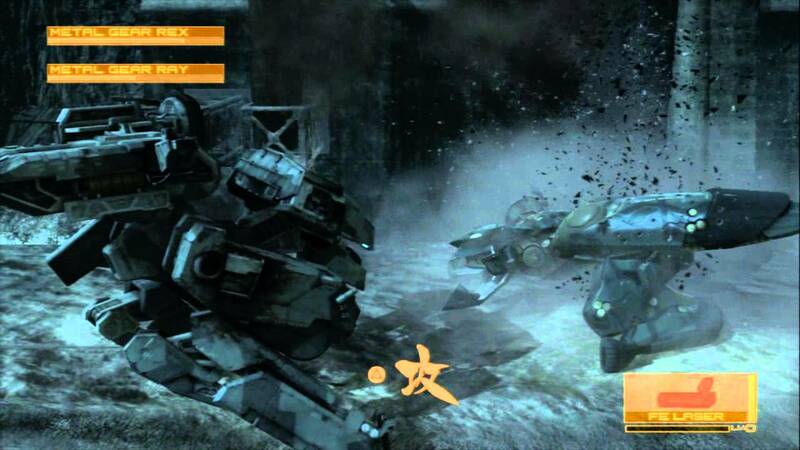 Otacon was able to figure out that the “Colonel Campbell” ordering Raiden was in fact an AI construct, especially when he found out it was coming from within the ship and acting very strangely after Emma’s virus was loaded into it Arsenal’s GW AI. After Solid Snake recovered info on the Patriots, both he and Snake were perplexed that the Patriot’s members were not only some of Philantropy’s backers, but also all dead for nearly a century. 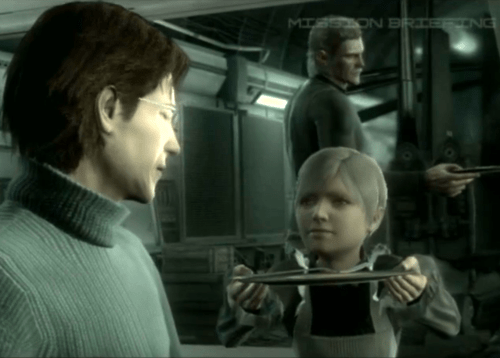 After Raiden rescued Sunny-Olga Krulenko’s daughter Hal took her in as a stepdaughter, and noticed that Snake was aging at an increased rate. 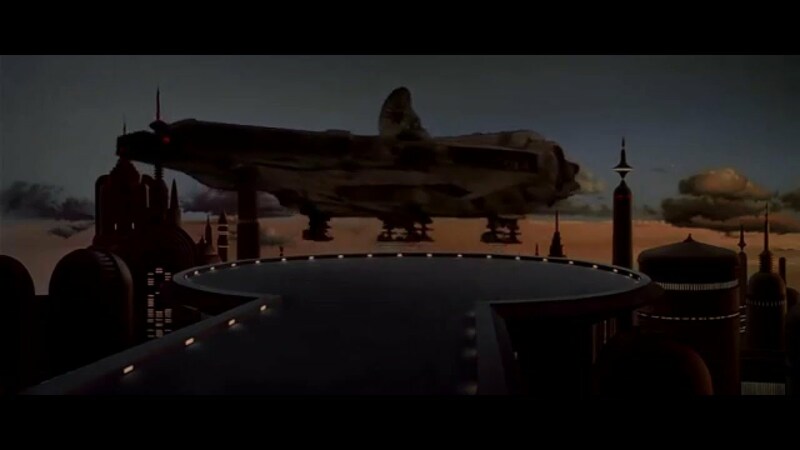 Due to being framed for the Patriots, they largely used the NOMAD plane as their lab and base of operations. Eventually, Colonel Campbell (the real one) located Liquid Ocelot, and Snake and Otacon went after him. 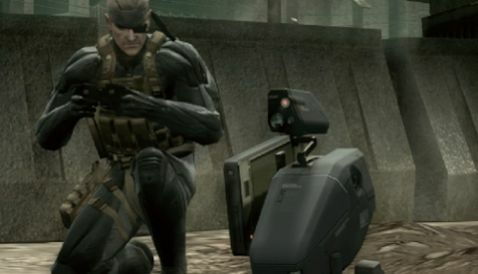 Although largely staying on NOMAD with Sunny, he was able to assist Snake on the field using the Metal Gear Mark II, a small, definitely non-nuclear Metal Gear with video interface and wires capable of manipulating objects and hacking computers. 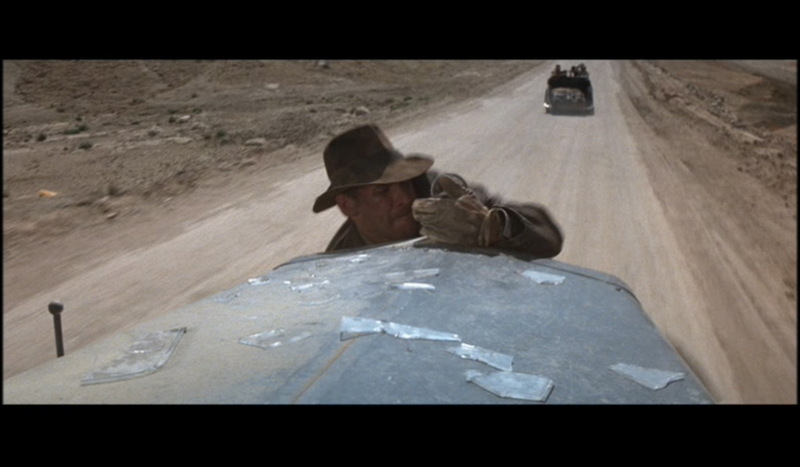 It also served as a useful scout. 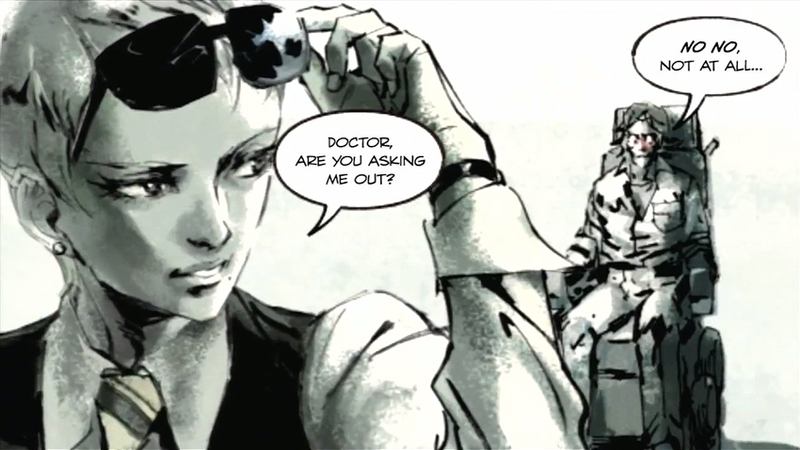 After Snake rescued Naomi Hunter, he began a romantic relationship with her, and she served as a sort of mother figure to Sunny. However, she seemed to rejoin Ocelot’s faction later on, although this was a bit of a ruse. 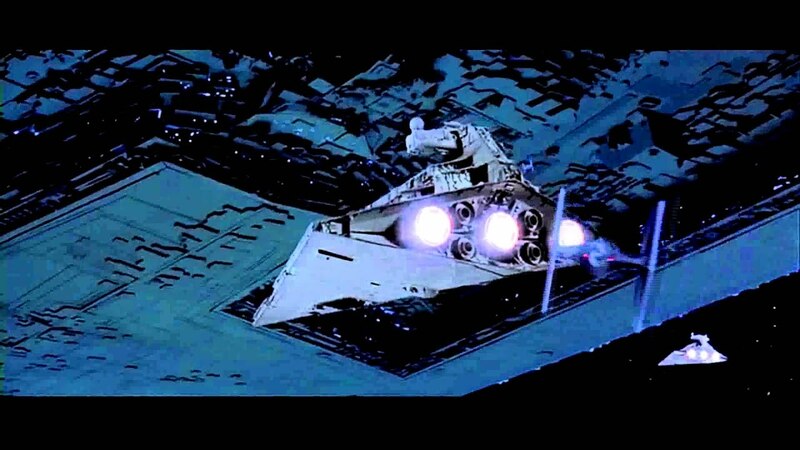 Eventually, using footage captured by the Mk II (Which was then replaced with a Mark III) Otacon and Snake realized that Ocelot intended to steal Metal Gear Rex’s railgun for use as a weapon against the Patriot’s satellite AI JD….so Snake returned to Shadow Moses, with Raiden helping him with the Mark III, and the two recalling their past adventure together. However, it was discovered that Ocelot had already gotten the Railgun, and what’s worse, Naomi died from her cancer, which she had only been holding back using transfusions of nanomachines. Deciding he had no tears left to shed, Otacon-despite devastated at the loss of yet another woman he cared about, managed to pull himself together again and reactivate Metal Gear REX, although without it’s railgun, and had Snake unlock it’s “Street fighter” mode, allowing for it to battle Ocelot’s RAY. 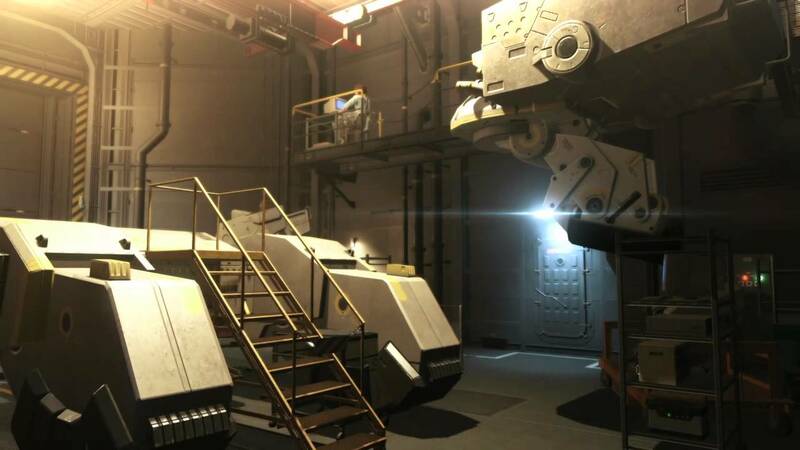 Later, Otacon briefed everyone on Ocelot’s plan as they planned to infiltrate Outer Haven, Ocelot’s Arsenal gear warship, and once again assisted Snake using the Mk III. 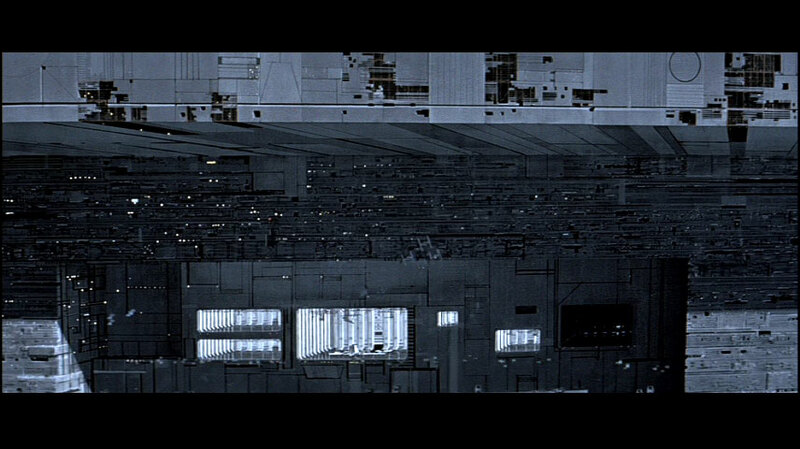 When GW was shut down, a pre-recorded message from Naomi played, explaining that, with Sunny’s help, she was able to override the Patriot’s AI, allowing their control to fade but not totally messing up civilization. Otacon was thankful-and yet very sad-at her sacrifice. Otacon, along with Sunny, later attended Meryl and Johnny’s wedding, although Snake couldn’t since he was doing his own reunion with Big Boss. He stated that Snake “always keeps people waiting”. As Snake went on to his final months, Otacon vowed to be his ‘witness’ and friend until his end. He also became somewhat more confident, earning a slight reputation as a “ladies’s man” although he often kept them at arm’s length due to the fates of Wolf, Emma and Naomi. You knew our family’s dark history, and still got involved!? Huey Emmerich was born in August 6th, 1945, the day the atomic bombs dropped on Hiroshima. His father was part of the Manhattan Project as well. 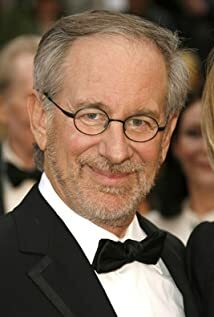 Born paraplegic, he eventually worked with NASA on rockets, alongside Dr. Strangelove, who gave him the nickname “Huey” (His real name is unknown, but is possibly Henrich). In the 60s, he also became colleagues with Russian scientist Granin, who created the Metal Gear concept in the first place. Although the Metal gear was abandoned by Volgin in favor of the Shagohod tank, the papers were sent to Huey in the states. However, he soon became disillusion with Hot Coldman when he learned he intended to use Peace Walker not as a deterrent, but to fire an actual nuke. Rejecting this, he eventually joined Big Boss’s MSF, giving him valuable intel on Peace Sentinel’s operations and working with the R and D departments. 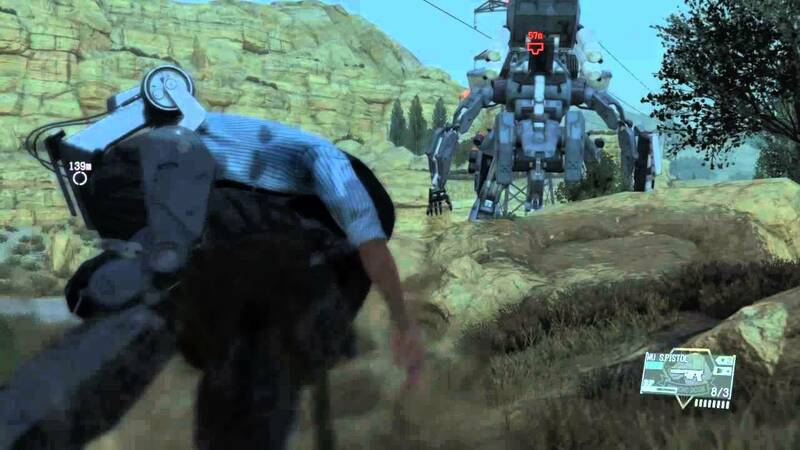 He also began working on a project for Big Boss-the Metal Gear ZEKE, largely built from AI and weapons components from the destroyed Peace Walker prototypes-and possessing a nuke-a nuke that Huey believed would be used as a deterrent, as opposed to Peace Walker which was intended to be field-tested by Coldman. 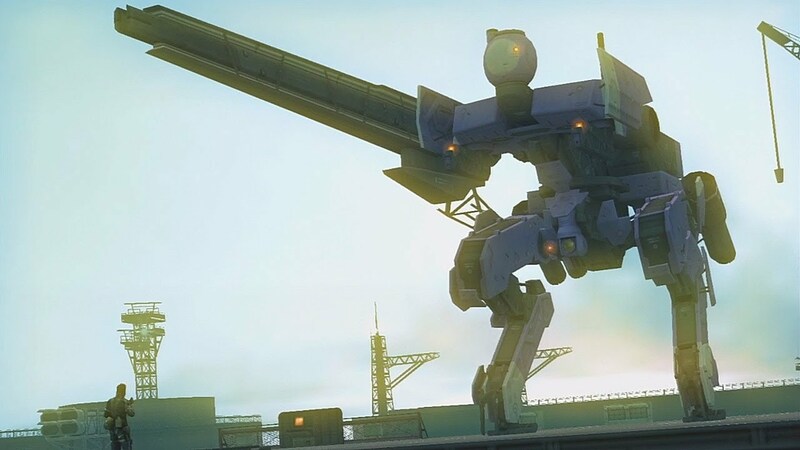 After Strangelove was brought to Mother Base to help work on Metal Gear ZEKE-and the weapon was almost used by Paz-Huey and Strangelove started to take their relationship to another level. But things wouldn’t exactly end well. Huey-without Big Boss’s or Kaz’s authority-agreed to sign off on a UN inspection of Mother Base-although the Metal gear with it’s nuke was hidden under the sea. Strangelove left the base during this time, as did the other civlians except for Huey. However, the inspection was a smoke screen, and MSF was played like a damn fiddle by XOF, a rogue group split from CIPHER, with Mother Base destroyed, Big Boss and a medic falling into a coma, and the deaths of Paz, Morpho and Chico. Huey-possibly aware of this all along-was taken to XOF. Kaz-who recovered early from the destruction-sought out Huey, finally finding a lead in Afghanistan. As selanthropus neared completion-although with a cockpit that could only really fit a child at this stage, Huey decided he wanted a test subject-his son-to pilot it. 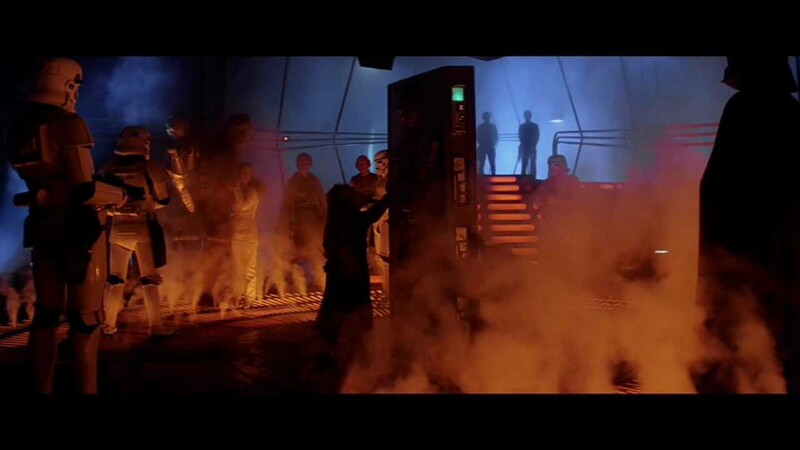 Strangelove, appalled by this, arranged to have Hal sent to the states where he would be safe from his father. Once Hal found out about this, he lashed out and sealed Strangelove in the AI pod tube, causing her to suffocate (The body continued to remain in the pod until recovered by Venom Snake). About a year later, Venom Snake-believing himself to be Big Boss-awoke from his coma and tracked down Huey in Afghanistan at a soviet base. 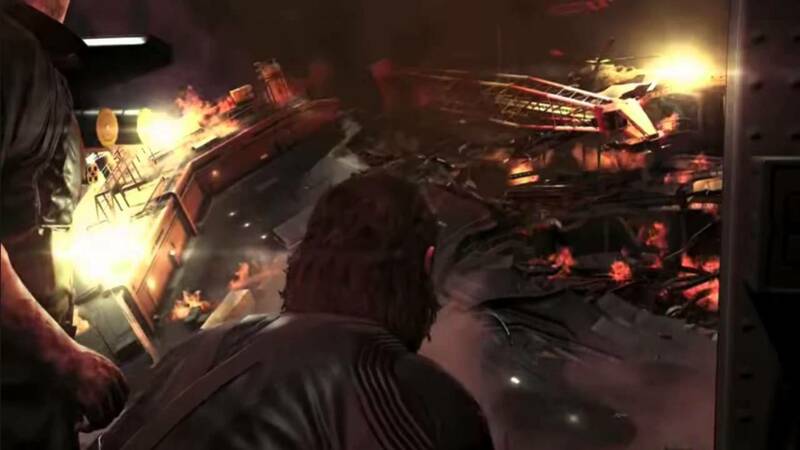 As Venom Snake escaped with Huey, he found his weapon Selanthropus being used, even though the AI interface wasn’t completed and it had no pilot. It was in fact, being piloted supernaturally by Treti Rebonek, the future “Psycho mantis”. 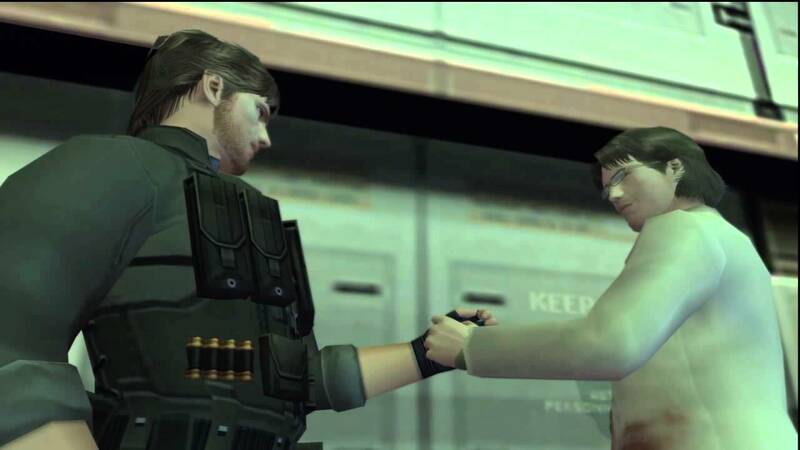 Although Snake managed to escape with Huey and the scientist was brought to Diamond Dog’s mother base, he was met with distrust by several members of the staff, especially Kazuhira Miller. Nevertheless, he was admitted into R & D, and developed Diamond Dog’s D-Walker and Battle gear. 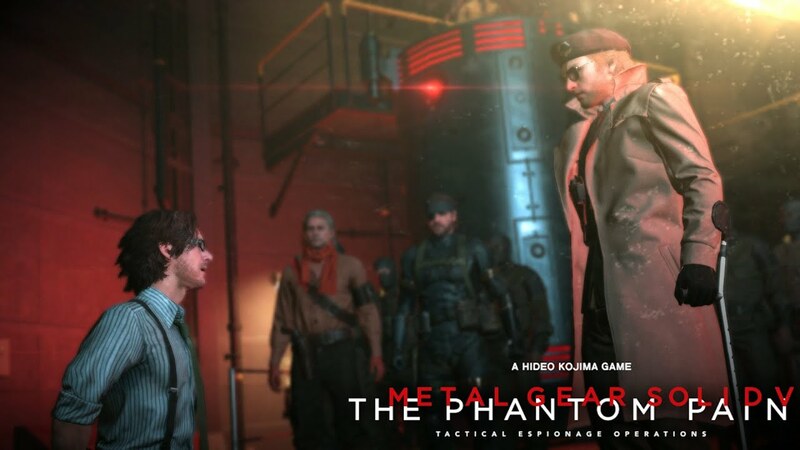 He was also reguarly interrogated by Kaz, Venom Snake, and Miller, where he revealed details about XOF’s other weapon-the vocal cord parasites-as well as info on Selanthropus and Cipher’s Les Infant Terribles project. 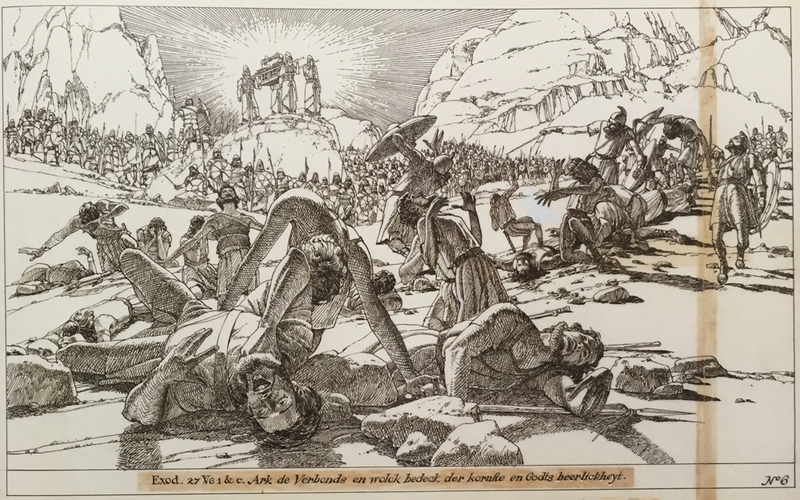 When it finally became time to take on Selanthropus and Skull Face at OKB Zero, it was Huey who finally killed him after he was crushed by the (Eli-controlled) Selanthropus, and further maimed by Snake and Miller. He then gloated of his “revenge”. When the deactivated Selanthropus was taken to Mother Base, Huey was in awe of his creation-and started to put his own plans into action against Diamond Dogs. He repaired Selanthropus in secret, where it was eventually taken by Eli and his group of child soldiers. He also experimented on Code Talker’s vocal cord parasites, intending to sell them to DARPA (under the control of Donald Anderson, who was putting his own plans into motion), which caused a major outbreak at mother base, forcing Venom Snake to kill several of his own men. Huey, of course, blamed their deaths on Venom Snake instead. The most damning evidence that Huey was up to no good came from the AI pod-which contained the bones of Strangelove, as well as her last recorded moments clearly implicating Huey. Huey was put on trial, with Kaz and many of the soldiers calling for blood. 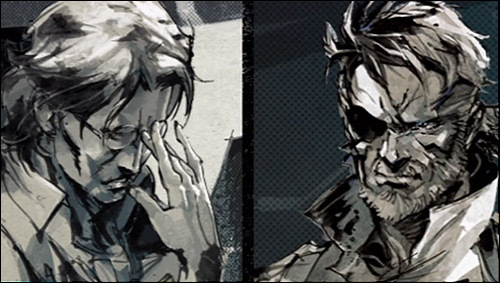 During the trial, Huey once again attempted to deflect blame onto Big Boss and his men, and not himself. 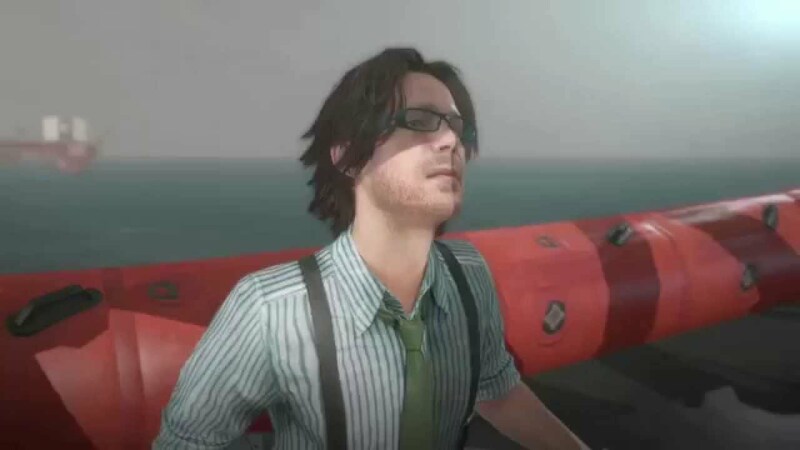 Although Kaz wanted him dead, Venom Snake chose to exile him instead, in a life raft, where he continued to rail against Diamond Dogs, and had to be abandon his robotic legs. Big Boss’s later Metal Gears-TX-55 and D-would be developed by a different scientist-Drago Pettrovich Madnar. Huey later on made it to the United States, where he reunited with Hal, and eventaully married Julie Danziger, a british woman. He also raised Danziger’s daughter, Emma, along with Hal. However, as Ocelot predicted, his lies-and his family being closer to Hal than to him-eventually led him to drown himself in the family. 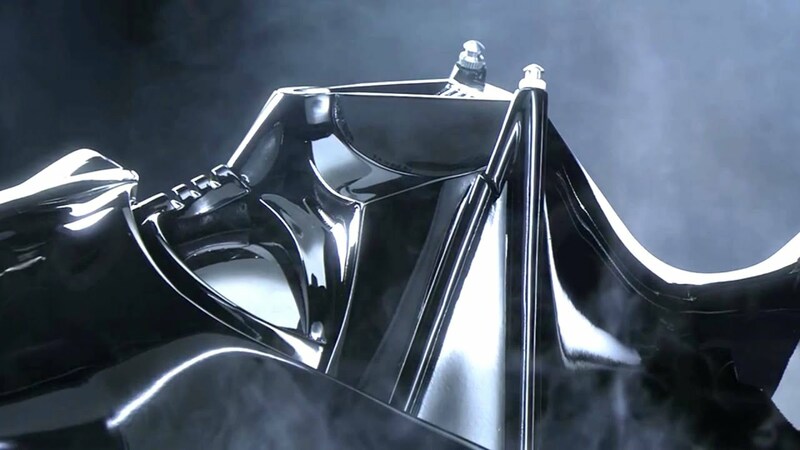 In a bit of irony-or perhaps because of his father’s history with the Metal Gear projects-his son, Hal, would develop a Metal Gear with many similar aspects to his father’s prototypes. The Metal Gear REX. Like his father, he would also find himself allied with a Snake-Big Boss’s clone son, Solid Snake…as well as working as a hostage under his father’s ally Eli, now Liquid Snake. 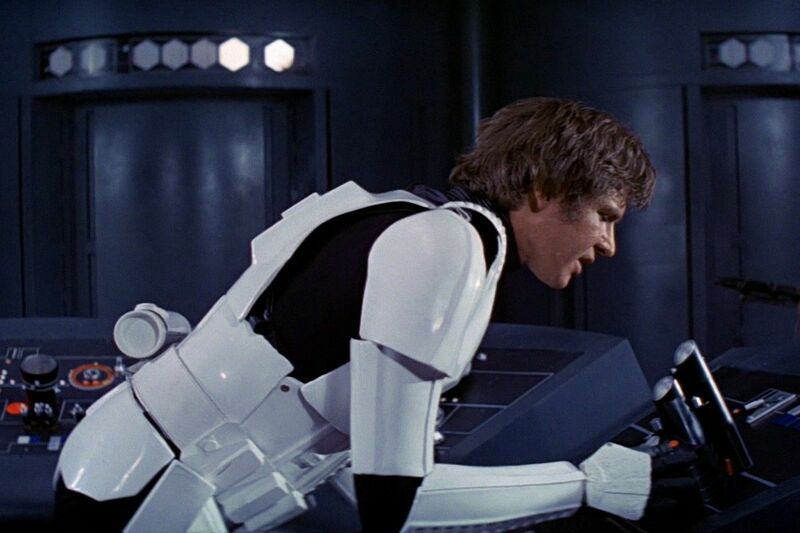 Although sharing many of the same personality traits as his father, Hal turned out to be a far, far better man. But that’s for another profile…. We’re gonna fight them. That’s what happens next. And we’re gonna lose people, maybe a lot of them, maybe even each other. Even then, it’ll be worth it. 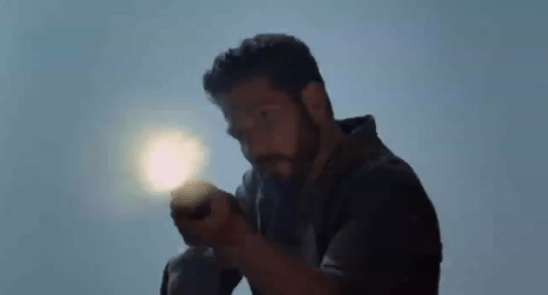 With less than a week before the premiere of Walking Dead’s season 8, I thought I’d do a write up with some speculation on who might not make it. 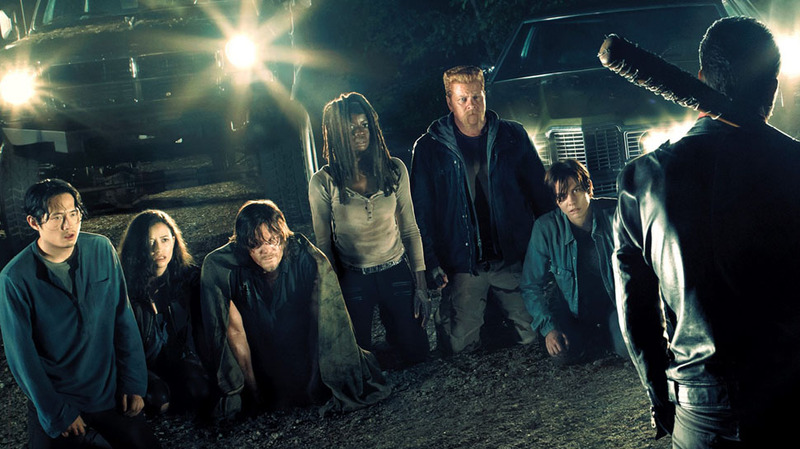 Pretty much every season of “The Walking Dead” has had characters who have died, as either due to the zombie bites (which cause a fatal illness) their own hand (often after zombie bites) sometimes accidents (Beth, for instance) or killed by another before they could re-animate (Beth again). Or they became walkers and were later put down (Hershel, and more recently, Sasha) or possibly still out there somewhere (Jim). 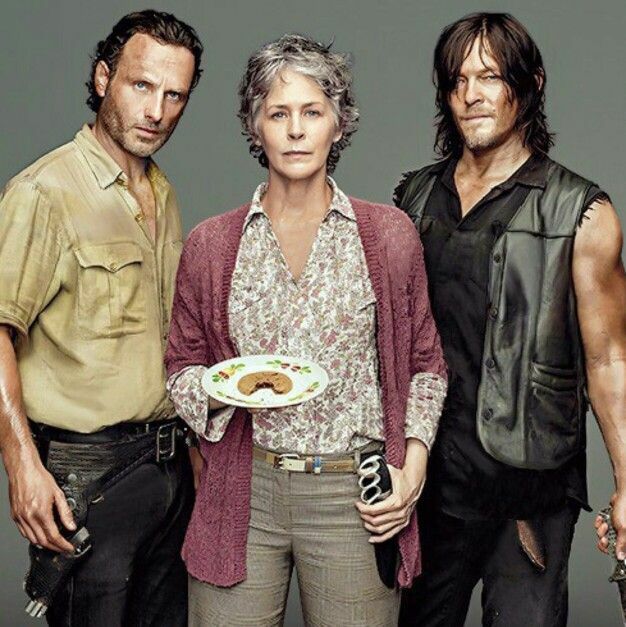 “Walking Dead” is a series where pretty much anyone can die, although a few members of the initial cast are still around-Rick, of course, the main character and former police officer; his son Carl, who suffered the loss of an eye in season 7 but has become quite a season warrior himself; Carol, the formerly meek housewife whose become her own kind of badass; Daryl, the crossbow-wielding “redneck” hunter and tracker. 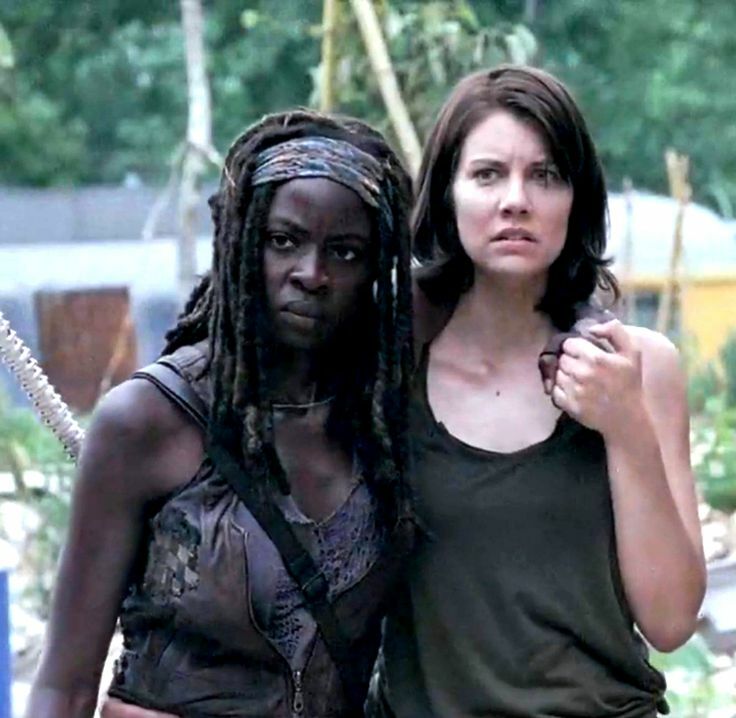 Maggie and Michonne, likewise, have stuck with the show since season 2. Maggie is the last survivor of the Greene family, and is pregnant with Glenn’s baby; Michionne, an art-loving woman who quickly became a seasoned survivor by ‘taming’ a few walkers and using a sword as her main weapon (and who initially didn’t trust easy) who is pretty much become part of the Grimes family, serving as a foster mother of sorts to Carl and Rick’s girlfriend after the death of his wife Lori (and also temporary love interest Anderson). 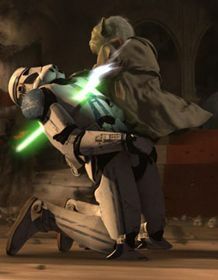 However, season 7 proved that even being on the show a fairly long time was not always a guarantee that one would live. 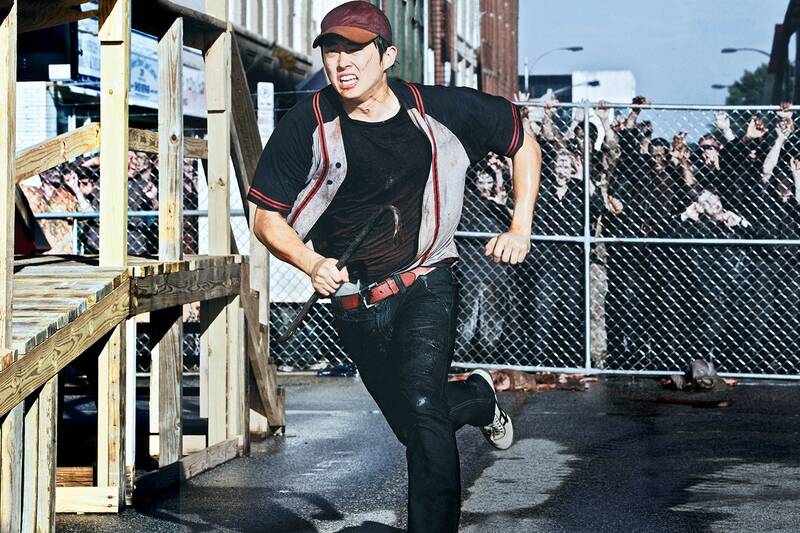 Take for example, Glenn Rhee, who in many ways got Rick into the Atlanta group in the first place (Where Rick was reunited with Lori, Shane and Carl), and has long served as one of the group’s ‘moral centers’, and whose words to a trapped Rick: “Hey you dumbass, hey in the tank, cozy in there?” closed off the first episode. 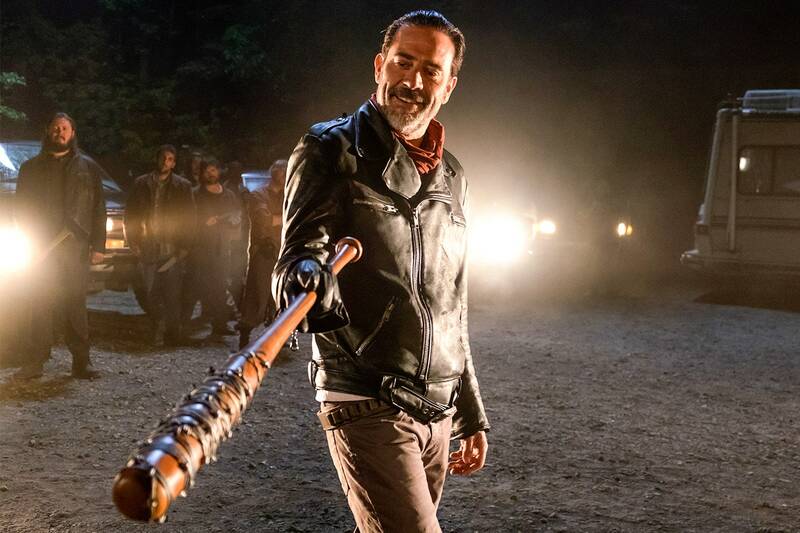 Glenn met his end in the season 7 premiere, as the second victim of Negan and his bat, “Lucille”, along with Abraham-a death that-while it also happened in the comics-still shocked fans and led to complaints about the show’s violence to AMC (Which I think was more out of affection for the character than the violence-TWD has always been a very, very, violent show). Abraham had also been around for about three seasons, as well. Deaths continued in the season, but mainly of the more recent character of Spencer (Whose character was kind of a jerk anyway)-the last member of the Monroe family who founded the Alexandria Safe-Zone and Olivia, who was pretty much a minor character anyway. 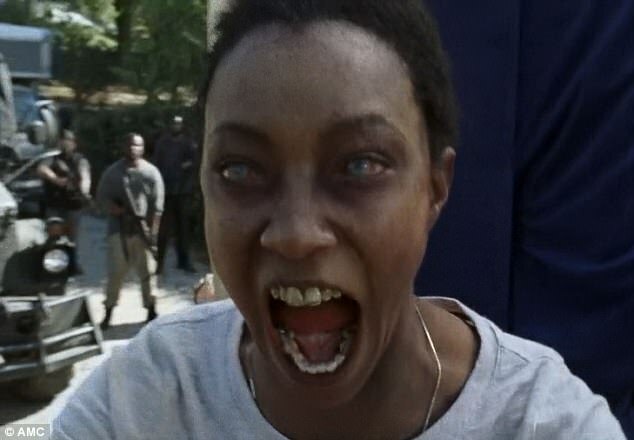 The season did end however with another major death-although a more noble one-as Sasha-who had been around since the Woodbury arc in season 3; and who had not only lost her brother Tyreese but two boyfriends in the earlier seasons (One the most recent Abraham); allowed herself to die so her Walker self could be used against Negan-and it did, helping to break a stalemate between Rick and the Saviors before being put down later on. Anyway, with that out of the way, I’ll share my thoughts on who might not make it to season 9. I won’t cover every character-that would take forever-so I’ll list likely candidates. Rosita. I’ve noticed the Walking Dead tends to develop certain characters more before their demise sometimes; Beth, for instance, got an arc where she was forced to work in a police-run hospital with some strange rules, but at the end of the arc, she was killed off. 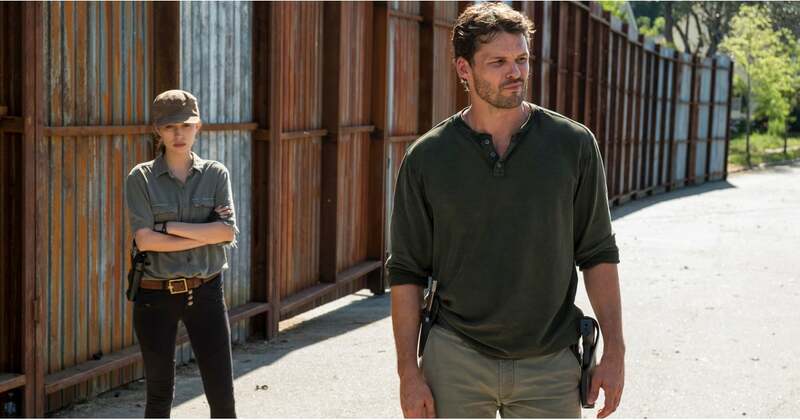 Rosita, likewise-although sort of introduced as a one-dimensional sort of character at first-got a lot of development in season 7, as she plotted revenge against Negan for her ex-boyfriend Abraham’s death-missing him twice, and sort of being indirectly responsible for the deaths of Spencer, Olivia, and Sasha, as well as the capture and defection of Eugene. She also died in the comics, in a grisly fashion, although under different circumstances.Also, the actress, Christian Serratos, might want a break to raise her daughter. So Rosita’s #1. The passage I posted at the beginning of the article-from “Say Yes” (The one with the carnival and the CG deer) The entire episode was in part, what could happen to one if the other died-Michionne, for instance, assumed Rick had died and was being devoured (when in fact, it was the deer) which caused her to lose focus and drop her sword for a few minutes. In a recent interview, it was stated that a character would die a similar death to Andrea’s recent death in the comics (Via Walker bite and then being put down). Andrea’s storyline unfolded somewhat differently in the comics-while she started off similarly; losing her sister Amy, she actually began a relationship with Dale(!) and later with Rick himself, and never had that whole mess with the governor that led to her TV demise She also became somewhat even better at marksmanship under Rick’s guidance, and like Michonne, a mother figure for Carl. So she sort of took the role that Michionne has in the TV series (Michionne’s relationships likewise, unfolded differently as well-with Tyreese, than Morgan and Ezekiel and she’s still around in the comic). So it’s possible Michonne might “take” Andrea’s comic death. Plus, she was badly beaten at the end of season 7 as well, and sort of given a ‘fake out’ for a few minutes a bit like with Glenn in the middle of season 6 (which was then followed by Glenn’s actual death at the end of the season). 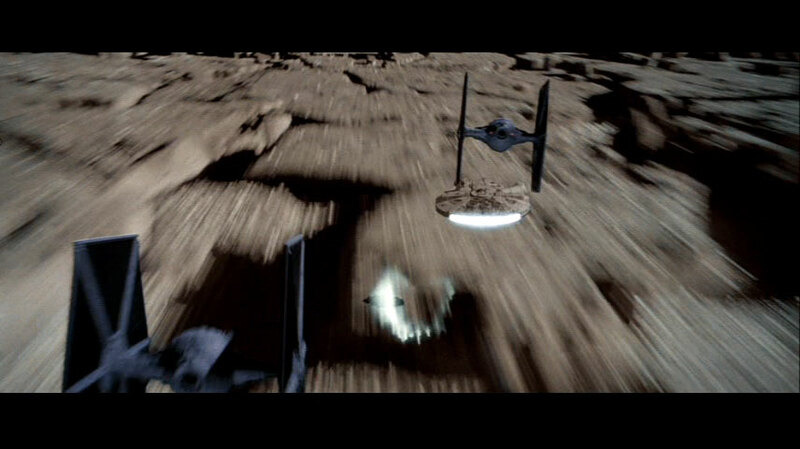 ….and as it happens, it looks like the two are going on some kind of mission in the season 8 trailer. Hmmm…..
Father Gabriel. The somewhat nervous priest started out sort of cowardly and didn’t think too much of Rick’s group at first, but by season 6 seems to be have found some courage, helping to take care of Rick’s daughter Judith and becoming a more capable fighter, as well as arranging to fake Maggie’s death. 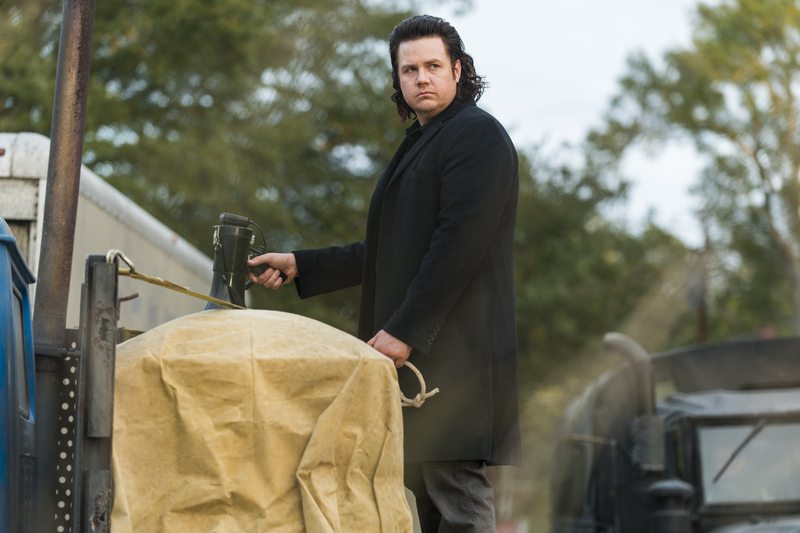 However, the latter might be a problem, as Negan found out that Maggie was in fact alive in season 7’s finale…and that may also be why we have Gabriel here in the trailer with Negan (Perhaps in the Walking Dead’s favorite mode of transport-an RV) in a scene that sort of mirrors that in the opener with Rick and Negan-although where Negan’s language is similar to his first appearance. Gabriel also looks noticeably nervous in some clips revealed. Speaking of Negan…. 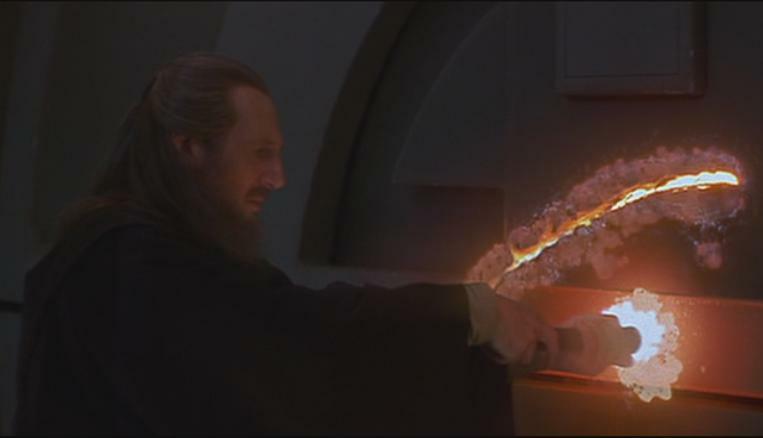 The producers have stated that season 8 will be the end of the conflict, but will it also be the end of the man himself? In the comics, Negan is actually still around, although he is imprisoned and actually sort of redeems himself. However, as always, the TV series might play things a bit differently….and of course, actors have contracts-and I’m sure Jeffrey Dean Morgan is in demand-whereas comics work a bit differently. 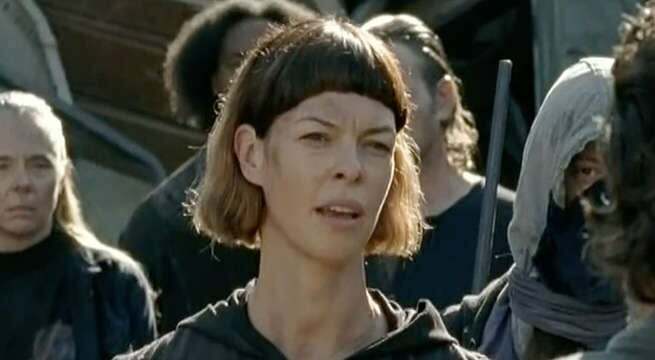 Jadis, the odd-talking “trash queen” and Negan’s ally (after she betrayed Rick), also might not be around for long, I think. 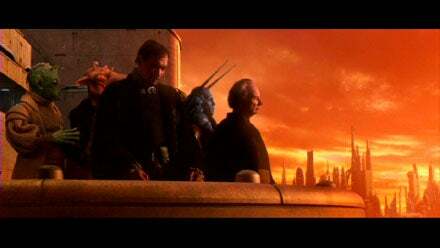 I’m pretty sure one of the villains is going to die. 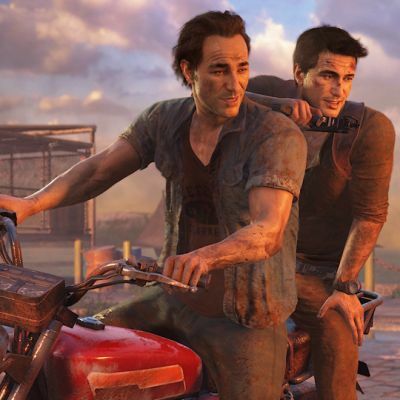 I’d actually it rather not be Simon, the character’s actually kind of fun (although I might be a bit biased because I’ve played and enjoyed Grand Theft Auto V, where actor Steven Ogg plays a big part as Trevor Phillips). 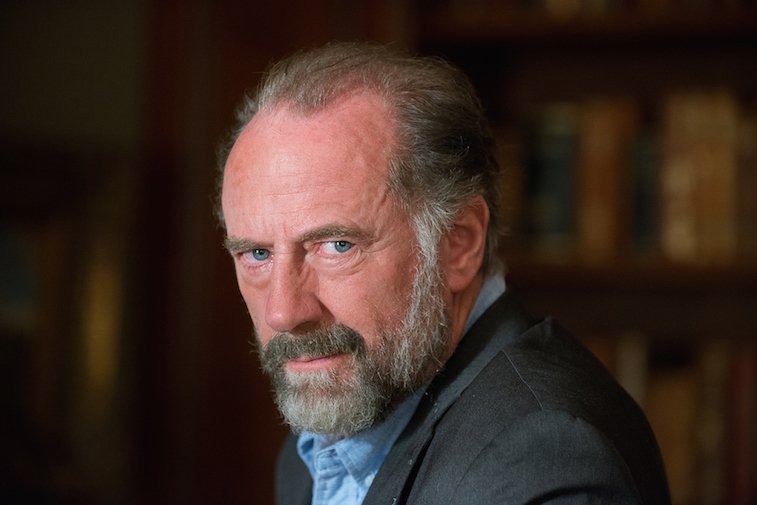 Gregory’s kind of the cowardly, slimey leader of Hilltop, although Maggie has mostly usurped his authority and he wants her out of the way. He’s also particularly bad at adapting to the post Apocalypse world. 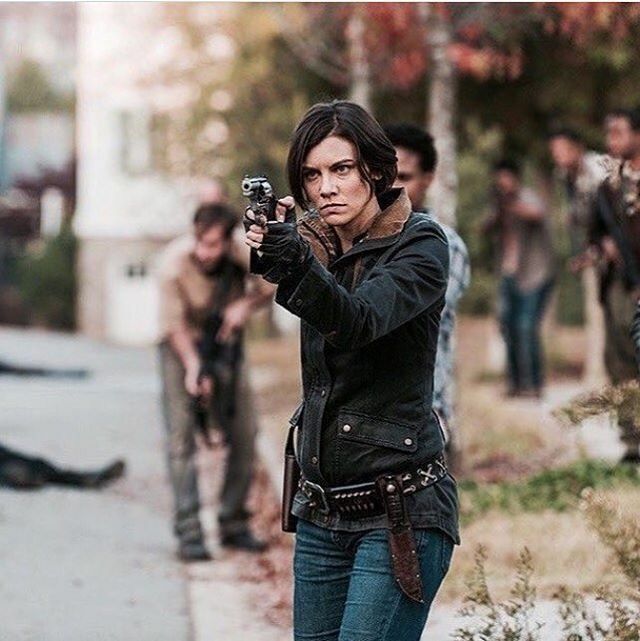 Following his humiliation after failing to kill a walker, He seems to have vanished at the end of season 7, leaving Maggie in full charge, although he’s been spotted a few times in the trailer. In the comic, he’s actually executed for trying to kill Maggie by Hilltop. Morgan. 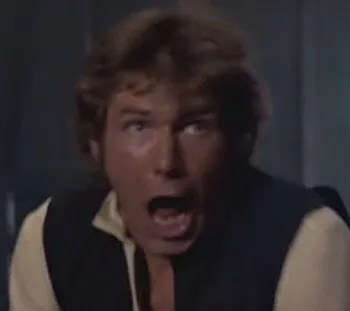 The character rescued Rick in the first episode of the series, but then appeared in season 3 as a broken man who’d gone quite a bit crazy. 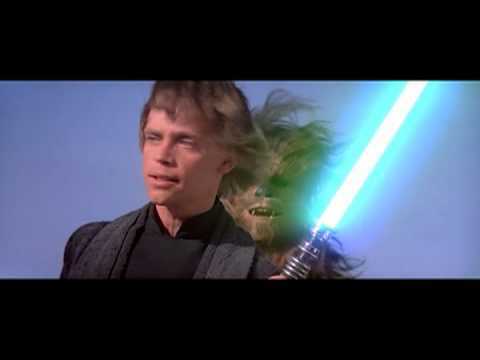 He later re-appeared in season 5, tracking Rick and adopting a new, more pacifist philosophy. 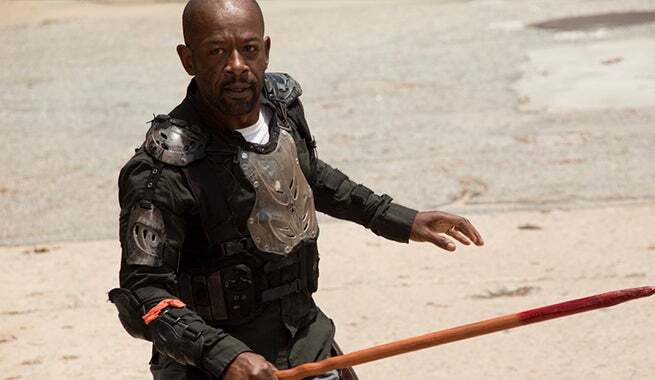 He’d still kill zombies and use his stick for self-defense and offense, but he would not kill other living beings. However, the actions of the Saviors caused this to unravel, and Morgan’s psychosis has largely returned, and he almost seemed to have death wish in “Bury me here”…. And here’s what could be the most surprising one-Rick himself. The producers have been hinting that perhaps the show could go on without Andrew Lincoin’s main character. 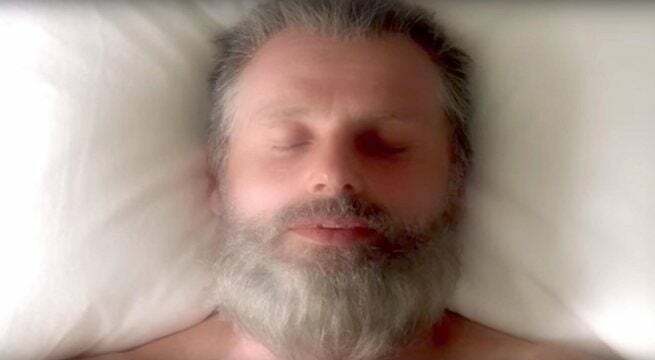 While the Walking Dead had that teaser of Rick on a bed with some nice flowers and a cane, Rick has been known to hallucinate sometimes, or have dreamlike visions. Shane in season 3 after he’ been quite dead. Around the same time, Rick on the phone with everybody who’s died…. And most recently, the Picnic vision. Tyreese, likewise, before his death, hallucinated the Governor, Beth, Bob, Lizzie, Martin, and Beth. Again, all this is speculation, and we won’t know for sure who stays and who goes in season 8. I presume it’ll follow the pattern of previous seasons, with perhaps a major death in the premiere, followed by a few in the mid-season finale, and then perhaps a couple in the season finale as well. 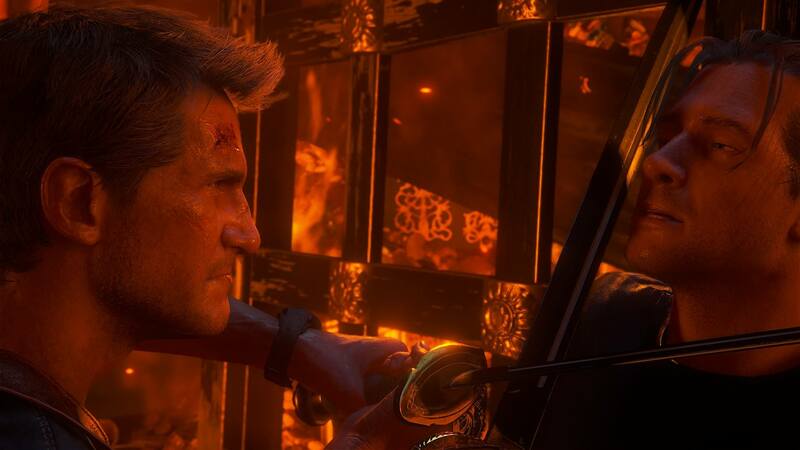 *spoilers for Uncharted 4 follow, as well as the Goonies, if you’ve never seen it). 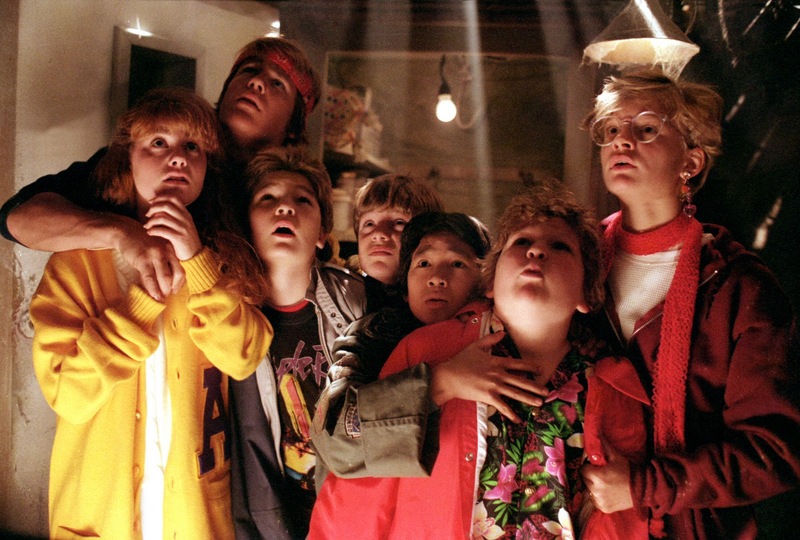 The Goonies-a 1985 family film classic directed by Richard Donner (“Superman” and the “Lethal Weapon” movies) and produced by Steven Spielberg (Who doesn’t need any introduction)….about a group of kids in Astoria, Washington whose houses are threatened by greedy land developers that their parents can’t afford to outbid. 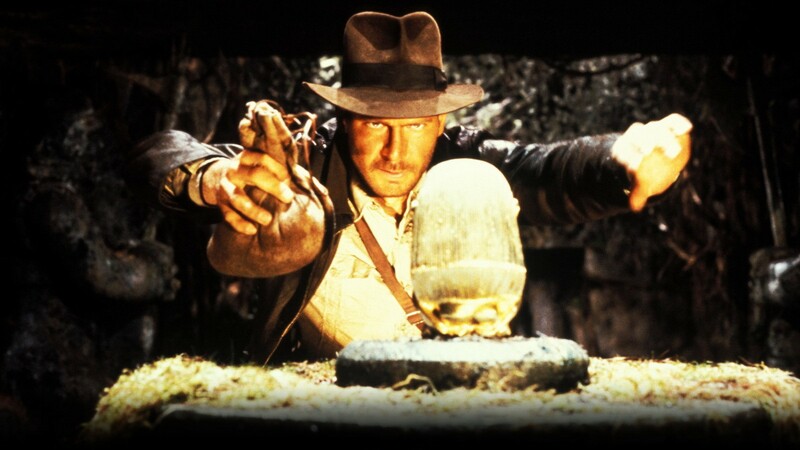 While looking through some old pirate relics stored in the attic of the father of one of them-the main hero-Mikey-they stumble upon an old pirate treasure map, which leads them on a search to find the treasure to bail out their parents and save their homes; but which also unexpectedly puts them in the path of the Fratelli gang, a mother and son group of counterfeiting criminals whose hideout happens to be right on top of the series of caverns leading to the treasure-and if that’s not enough, the whole place is littered with skeletons and booby traps. Uncharted-the adventures of Nathan Drake (well, until recently) adventurer, pseduo-archaeologist, and pretty much a thief (although one a “heart of gold”), who-along with several allies helping him along the way-mentor Sully, love interest and eventual wife, Elena, and others; made important discoveries such as El Dorado, Shambayla and the Atlantis of the Seas…but also learned that some treasures are best left behind a the same time. 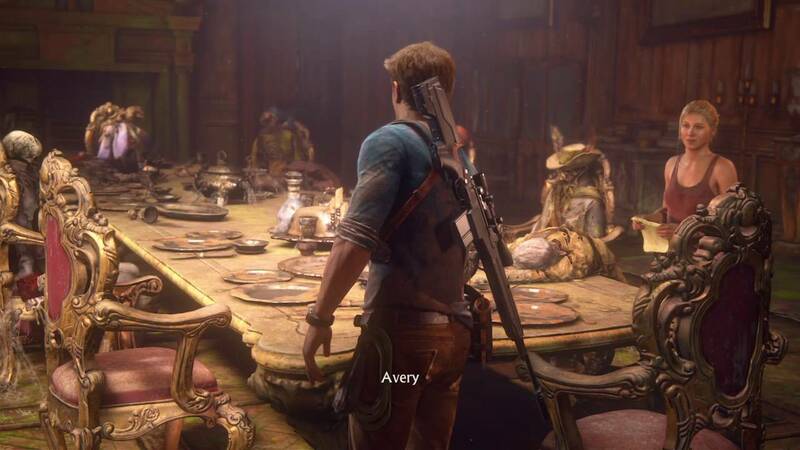 As of Uncharted 4, he’s settled down to a domestic life as Elena’s husband, and working in a salvage business in New Orleans. However, the call of adventure comes back to him when his presumed dead older brother Sam reemerges-with the possible key to a treasure they’ve been searching for all their life-the lost pirate colony of Libertera, rumored to have been founded by the missing Captain Avery. It’s kind of obvious where the origin point is for both series (although “Goonies” also brings in some influence from Hardy Boys novels). This guy. Getting more on track though, let’s get to the heart of the matter-comparisons between the two. 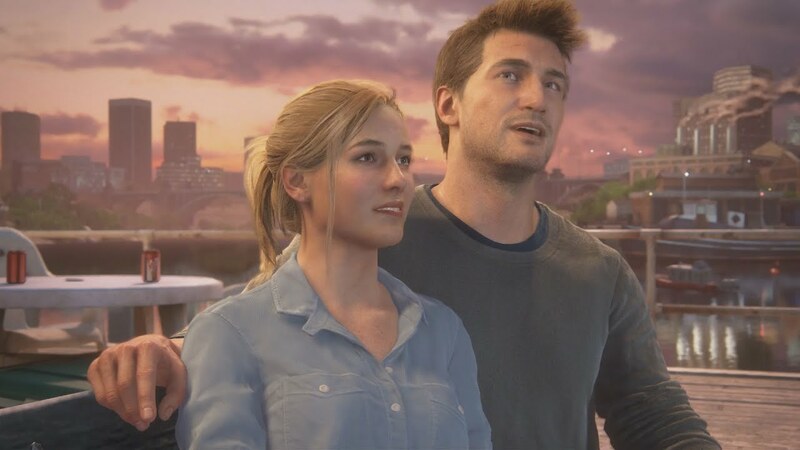 Uncharted 4’s story has it’s genesis in flashback segments revealed throughout the game, where Nathan and his brother Sam first discover their destiny by breaking into a home which has their late mother’s belongings; leading them to not only change their last names, but also on their lifelong quest to find the lost colony, a subject their mother was interested in and close to cracking. 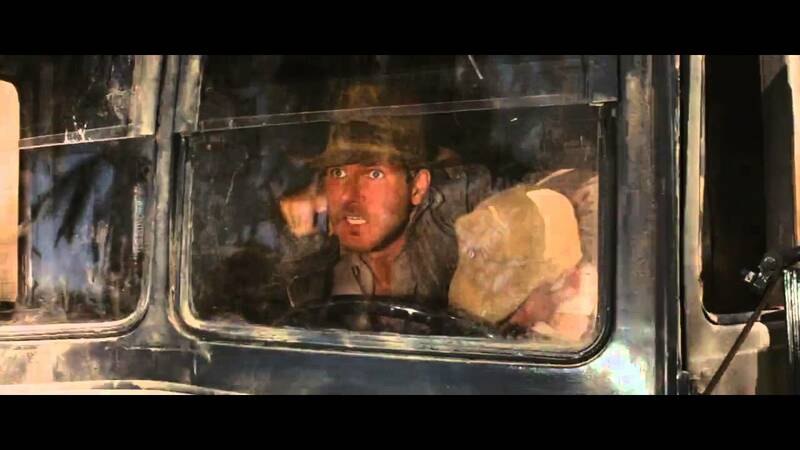 The first similarity is pretty visual off the bat-young Nathan is very similar in appearence to Mikey from the Goonies (although without the asthma problem). The denim jacket in particular is sort of a dead giveaway. 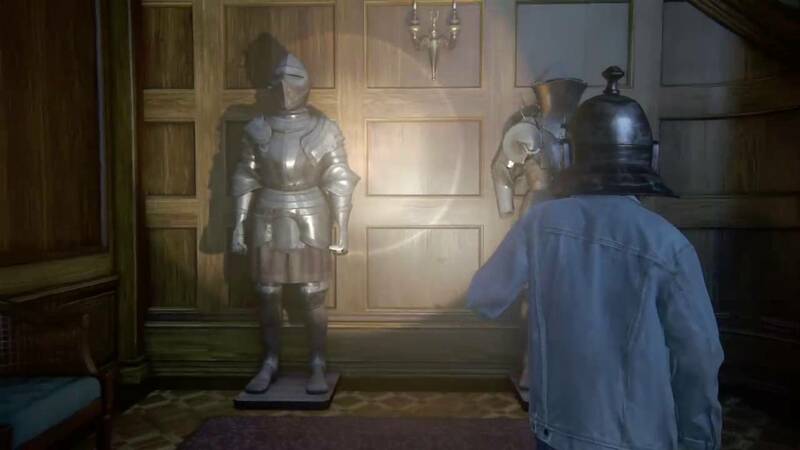 The old house in the game also bears some slight similarities to the attic museum pieces from the Goonies, which set them on their quest in the first place. Although like Mikey and his older brother Brand, Nathan participates in the quest with his older brother Sam, there is an important difference in that while Brand initially isn’t really along for the ride until sort of forced to by the Fratellis showing up (and in an attempt to impress his lady friend Andrea “Andy”). In the main storyline, it’s Nathan who is the reluctant one, as he’s largely retired from the adventure life and has settled down with Elena (When he goes off on his quest, he doesn’t tell Elena which leads to a brief rift between the two). 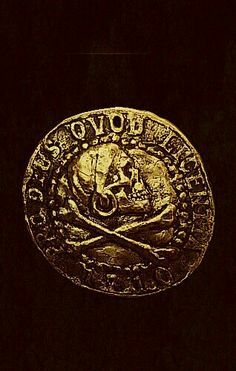 Like “Goonies”, one of the keys to the treasure is a map-in Uncharted, located in the cross of St. Dimas, which leads to Scotland and later to more clues. 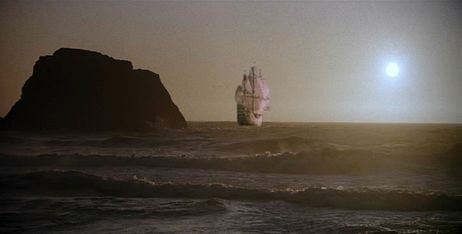 The equivalent in Goonies is a dubloon near the treasure map, which serves as a coastline marker for the cavern’s location. Of course while the Drakes have to navigate several puzzles, fight off an army of mercenaries, and travel around the world to find their treasure, The goonies deal with relatively fewer obstacles-the Fratellis, some traps, and the piano puzzle. It’s when we get to the pirate colony itself that the similarities really go off on all cylinders. The place is a graveyard, with pretty much all the colonists dead, or worse, their corpses weaponized to set off booby traps (in a similar fashion, one of the Goonies’s skeletons has become a rather grim piano that’ll kill you via fall if you die “If you hit the wrong note, we’ll all B flat”). But there’s also this scene of a “last supper” with Avery’s co-conspirators, who he all poisoned to get away with the treasure. One eyed Willy pretty much did the same thing, although in his case, he died with it as well (presumably, one pirate managed to escape with the map and dubloon though). Although there’s a difference in location-the dead pirates are located in a lush mansion, while the Goonies’s dead pirates lie aboard Willy’s ship, the Inferno, located in a sealed-off cave. 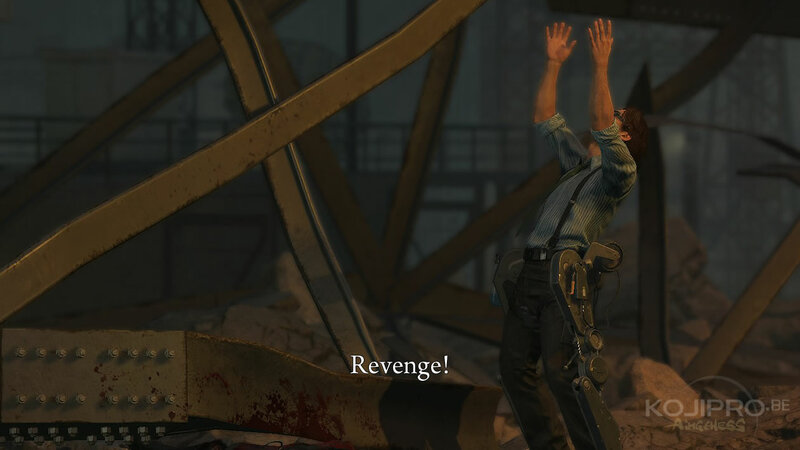 But don’t worry, Uncharted’s got that covered as well. Of course this also leads to a final confrontation with the villains, involving some salvaged pirate swords, although not really any fighting in Goonies’s case. Likewise, the gems that Mikey managed to get in his marble bag are enough to save the Goonies’s homes from the greedy developers, leading to a happy ending (even for Willy, in a sense, whose derelict inferno escapes from the cave for one last voyage).